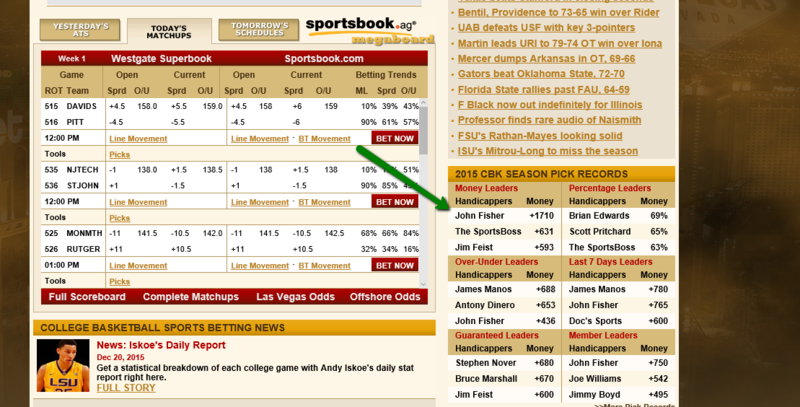 John Fisher, our top pick for a handicapper for over two years, once again ranks as the Money Leader on Vegas Insider. He has a proven, documented track record for bringing home winners. His documented winning record goes back ten years. 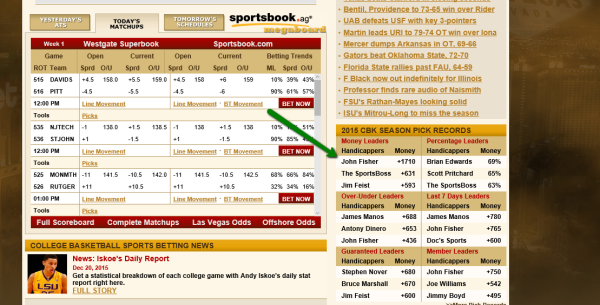 Note the wide margin he has over other handicappers: +1710, with second place at +631. WE GO 8-1 on an incredible night. TEXAS wins 75-73 as 1.5 pt favorites. ONLY A MISSED LAY UP AT END OF ARIZONA UNLV GAME KEPT US FROM GOING AN INCREDIBLE 9-0.